The MIC2095/97/98/99 family of switches are self-contained, current-limiting, high-side power switches, ideal for power-control applications. These switches are useful for general purpose power distribution applications such as digital televisions (DTV), printers, set-top boxes (STB), PCs, PDAs, and other peripheral devices. The current limiting switches feature either a fixed 0.5A/0.9A or resistor programmable output current limit. The family also has fault blanking to eliminate false noise-induced, over current conditions. After an over-current condition, these devices automatically restart if the enable pin remains active. 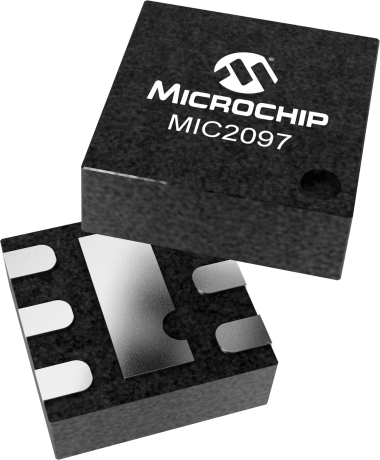 The MIC2097 switch offers a unique new patented Kickstart feature, which allows momentary high-current surges up to the secondary current limit (ILIMIT_2nd). This is useful for charging loads with high inrush currents, such as capacitors. The MIC2095/97/98/99 family of switches provides under-voltage, over-temperature shutdown, and output fault status reporting. The family also provides either an active low or active high, logic level enable pin.